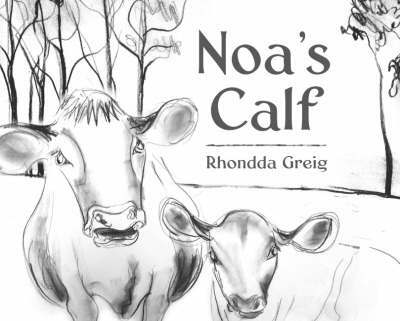 A wordless picture book in which Noa is fascinated one day when he notices a cow on the farm that is bigger than all the others. One morning he runs down to visit his cow and finds that she is giving birth. Since Rhondda Greig began her career as a professional artist she has held solo exhibitions regularly in New Zealand, in Japan, where she has been invited solo exhibitor in Tokyo, Yokohama and Kyoto, and she has recently exhibited in Aberdeen, Scotland. Her works are held in public and private collections throughout New Zealand and in private collections in the United Kingdom, the United States, France, Australia and Japan. She was a short-listed contender to design the New Zealand Memorial in Hyde Park, London. In 1984 her children's book Matarawa Cats was a finalist for the Noma Concours Children's Book Illustration Award, and in 2006 she was Artist-in-Residence at Marischal College, University of Aberdeen, Scotland.